If you’re going for weight-loss now you’ll see fast results when you deal with what I call the the ” Big Rocks” first. The Big Rocks are those things in your diet that when we eliminate or get you a healthy substitute we see dramatic changes in your body quickly. I call soft drinks and fast food the Big rocks. When you move the big rocks first you start feeling better and seeing results faster. You need those types of small victories in the beginning to get traction and to stay on course. By simply eliminating soft drinks(full calorie and diet) I can guarantee a quick 5 to 10 pound loss in the first 10-14 days. This is the kind of result that can get you pumped and help you stay on track during those crucial first 30 days. The fast visible results gives you momentum and confidence. Two things you need now to stay on track toward your bigger goals. To transition off soft drinks I recommend you first make sure you’re getting in at least 8 glasses of 8 ounces of water a day. It’s more than you think it is. That’s your first step, make sure you’re hydrated. If you can drop soft drinks cold turkey more power to you! But most people can’t go cold-turkey. I recommend using a low or no-calorie subsitute to ease off of the soft-drinks. I recommend using Green Tea (this is your healthiest choice)..
Or Mio-water enhancer as soft drink substitutes to help clients transition away from soft drinks. I’ve recommended Mio to a lot of clients and it appears to work well. 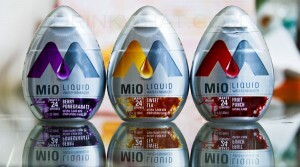 There’s also a Mio-energy(with caffeine) if you use soft-drinks for the caffeine. And I do not recommend cutting caffeine out when you’re changing your diet and getting back into working out. 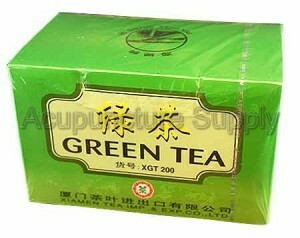 Caffeine is a natural appetite suppressant and performance enhancer. Use it to your advantage. Simply use either of these as substitutes for your soft-drinks. You’ll feel better and see results faster with this one simple change. P.s.If you want to kick start your fat loss into overdrive. Get a FREE 7-Day Pass to my Rapid Results Boot Camp.